Can you believe it? I'm behind again. Yesterday at Reading for Research Month, Susan Eaddy's post on longer picture books was particularly interesting if you're a writer. Word count for picture books has been a subject for discussion for years. And years. And years. Eaddy is a supporter of longer texts. "...stories are often more complex...Bedtime reading can be comprised of a single book." 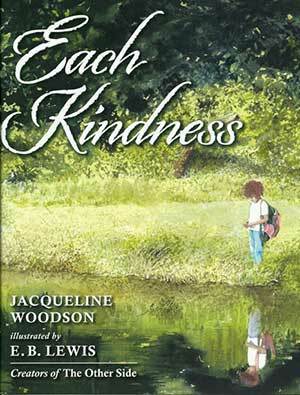 I read five of the longer picture books suggested (one being Finding Winnie from a few days back). I had an interesting response. I've had years of reading the shortest picture books and seeking out shorter ones for a young family member. 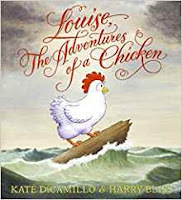 I found that I wasn't that interested in the two long traditional stories, Lilly's Purple Plastic Purse Kevin Henkes or Louise, The Adventures of a Chicken by Kate DiCamillo with illustrations by Harry Bliss. 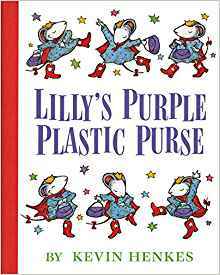 Lilly was a great character, but it just seemed like another school story. And the chicken story just went on and on. But, as I said, I may have become too accustomed to the very short picture book. 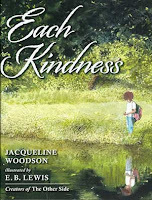 Each Kindness by Jacqueline Woodson with illustrations by E.B. Lewis is an interesting twist on an improving book, the classic "how would that make you feel, if someone did that to you, sweetheart?" story. This story of an ostracized child is told from the point of view of the person doing the ostracizing. I've been wanting to read something from inside the bad kid's mind for years. This one doesn't have a happy, let's-all-live-together ending. It's about regret. But in a modest, child-friendly way. I actually liked this. Nelson (seen his work this past month) really ought to have been categorized as a biography, but the library where I found it shelved it as fiction. 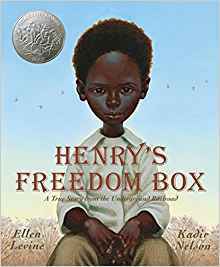 It's the story of Henry "Box" Brown, who escaped slavery in a particularly fascinating way. There's an entry point to this story for kids, in that it begins with a very brief mention of brown's childhood. Then it's all adult, all the time. The reality of this adult's life has plenty to interest a child reader. is what might be called historical fiction. 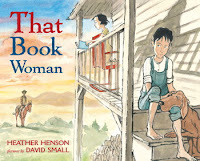 Historical fiction in picture books. Is that a thing? This book deals with the Depression-era Pack Horse Librarians who brought books to rural Kentucky. 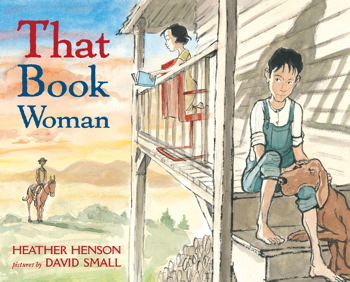 Though the librarian is an adult, this is a piece of fiction and we learn about her through a child character's point of view. So I guess what I've learned as a result of today's ReFoReMo work is that if I'm going to read a longer picture book, I want it to be about something substantial. Does this longer picture book issue have anything to do with my own picture book manuscript? No, I don't want to extend this thing. I did get an idea for a picture book bio today, though. 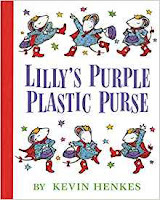 Lily was a HUGE favorite in our house. Part of our family vocabulary even includes "Wow. That was just about all he could say. Wow." The girls were never big fans of longer, more substantive picture books, but they started reading chapter books fairly early on. Sounds like you're working hard on your research!